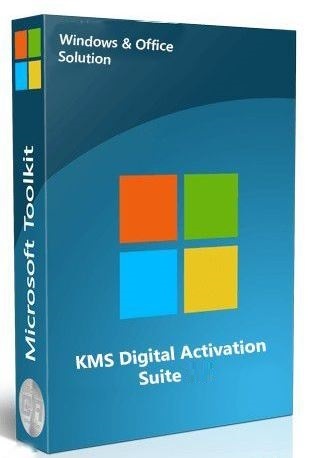 Direct - KMS / 2038 & Digital & Online Activation Suite v6.8 ( English / Turkish ) | Team OS : Your Only Destination To Custom OS !! With this method, the connection to the virtualized KMS server is provided to the «SppExtComObj.exe» file in the \ Windows \ system32 \ directory, which enables the activation process to be performed, thus assuming that the operating system is connected to a real license server. Antivirus applications may show activation files as malicious. Digital activation for Windows 10 is a method that Microsoft has developed exclusively for Windows 10 to enable easy re-activation of hardware on PCs after reboot. In the KMS method, if the license server is being virtualized, this method also enables digital activation on your PC as if a hardware change has occurred. This method requires an internet connection and provides permanent activation. Only works for Windows 10, works on all versions. Up to now known antivirus applications have not seen files of this method as harmful. 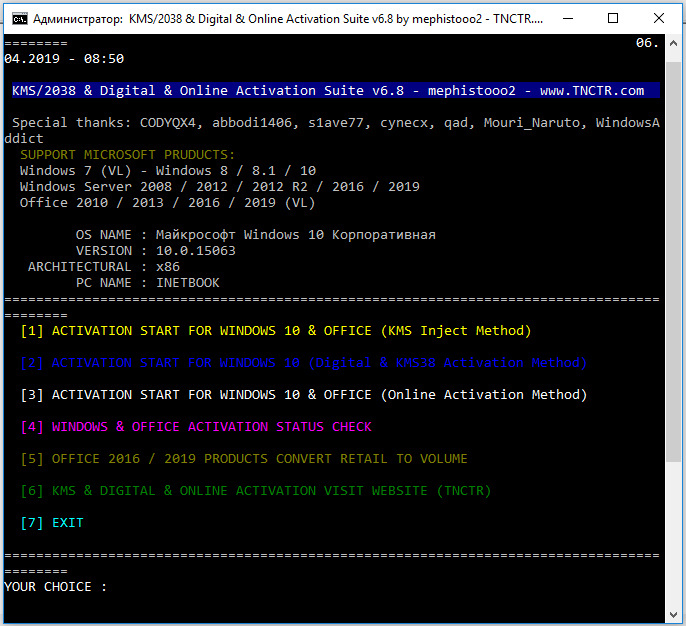 Windows 10 KMS 2038 activation method belongs to s1ave77 user MDL (thanks to him). With this method, you can use your Windows 10 product licensed by 2038. Internet connection is not required for this method. Some charitable users (mostly Chinese) on the Internet, publicly publish their own KMS servers, so you can use Windows and Office products licensed for 180 days. Dont question something you should already know..
What the heck is this jibber jabbering Nonsense??? Inform and tell you what.. Over and over we been tell you and all you do is constantly forget ..
Made a fluffling List of the steps 1, 2, 3, 4, and so on and do some reading before spouting off to me or staff.. Now get quiet and get busy.. There is no way to activate Office only?